Hey!! Sorry for the lack of posting the last couple days!!! Life has been good! Makenzie had a very good week!! She has been doing excellent with sitting and keeping her head up MUCH more!! She has also continued to enjoy all fours and is doing SOOOOO much better!! She continues to use her hands more every day! !I put her on the scale today and she has gained one and a half pounds in the last 3 weeks!! Yeah!! Keep Growing Girly!!! Oh and her rash is completely gone!!! !God has been so faithful!! I have been in communication a lot with Makenzie's school the last couple of weeks! As the school year winds down I have a lot of decisions to make. Makenzie loves school and the staff at her school has tried very hard to meet her needs. However, some of the most basic aspects has still not been met! Makenzie needs proper seating to support her. This will allow her to better use her hands to work on fine and gross motor skills! They do not have this for her. There is a ton of opportunities at school for her to practice these things. By not having access to proper positioning she is missing out on a lot. Yes they sit with her at the table and help her do the activity but she is really unable to help. Once again I find myself in the mama bear mode! Whats new!! 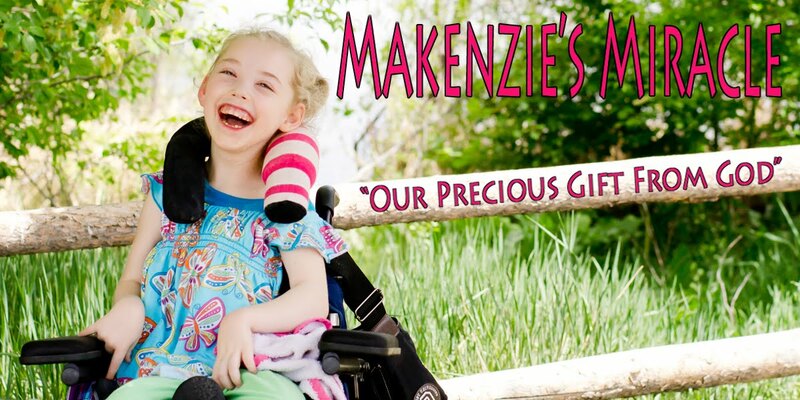 We will have a meeting with the Special Education Supervisor soon to discuss how the district can aid in making sure that Makenzie's needs are better addressed next year! I am sure they do not have many kids like Makenzie. I understand that we are exploring uncharted territories. I am trying to keep my cool even though red tape makes me CRAZY!!! I hope that all of the school staff understands that I love my daughter and I am only speaking up on her behalf! It is her right! I have been doing this kind of stuff for the last two years and am not about to throw in the towel now!! So please pray for these decisions! Pray that God would open the doors so that Makenzie can have the best teachers for her next year! Costa Rica is 6 weeks away!! WOW! Keep praying for this trip!! Pray that God allows the new cells to thrive in Makenzie and that they go to the right places in her brain!!! Thank You for all of your love and support!! !